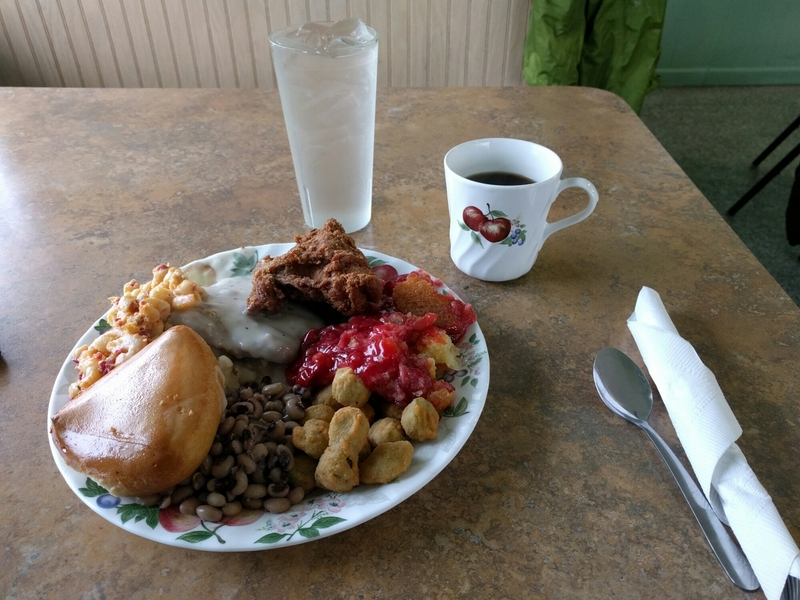 After visiting Elvis’s birthplace, I headed back into town because I’d seen a sign for $8 all you can eat home cooked buffet! I couldn’t turn that down. So I went inside and grabbed a heaping plate of food and was invited to sit down by a gentleman. 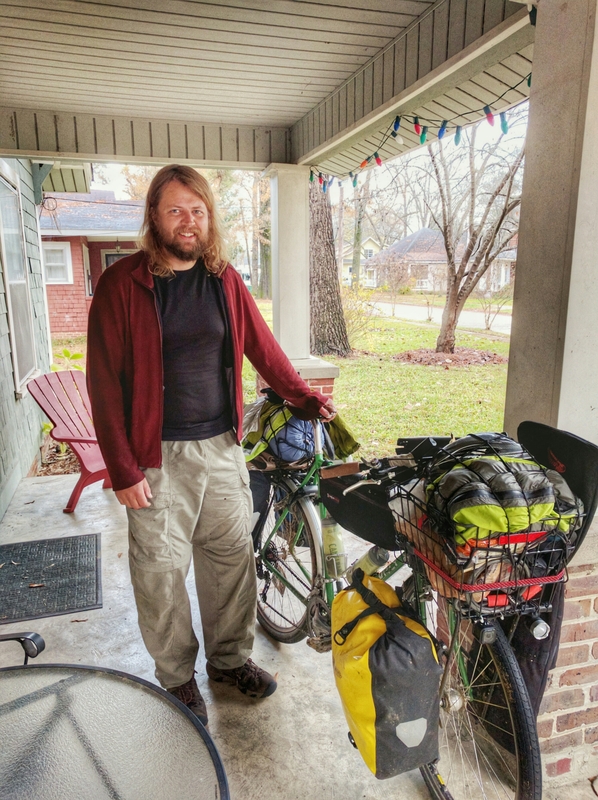 We ended up chatting about Tupelo, New Orleans, work, bicycle touring, the economy, and so on. His friend joined up and we kept up the conversation. 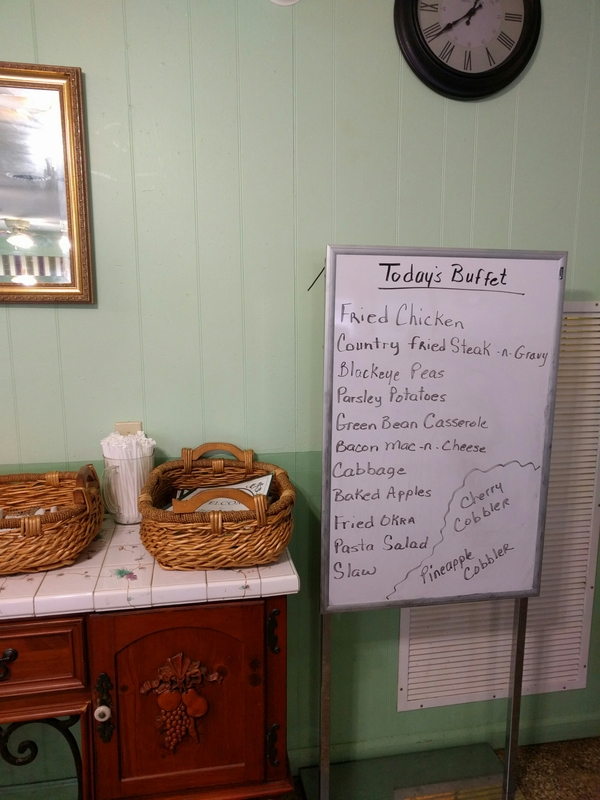 As we were getting up to leave, one of the men offered to pay for lunch and we chatted some more. 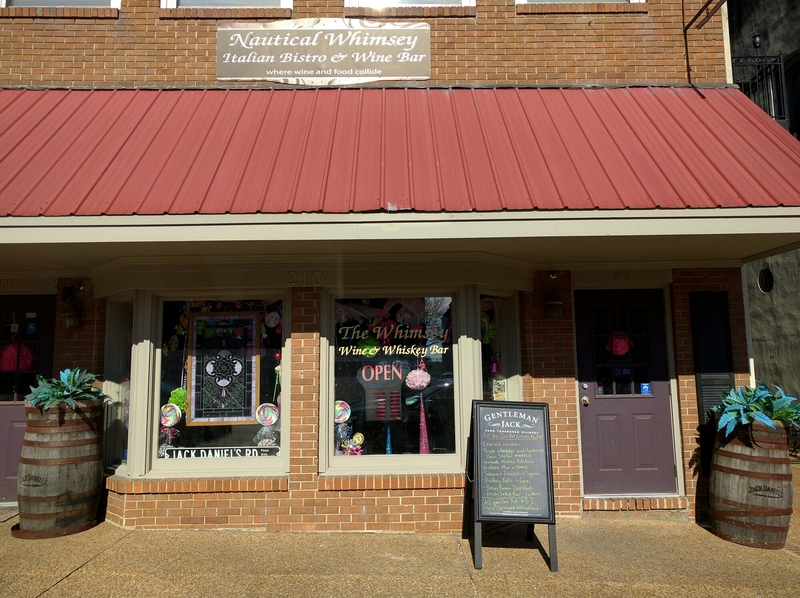 I pedaled out of town on Main street towards the Natchez Trace and was met with cars driving right behind me and then holding on their horn as they passed and drove away. 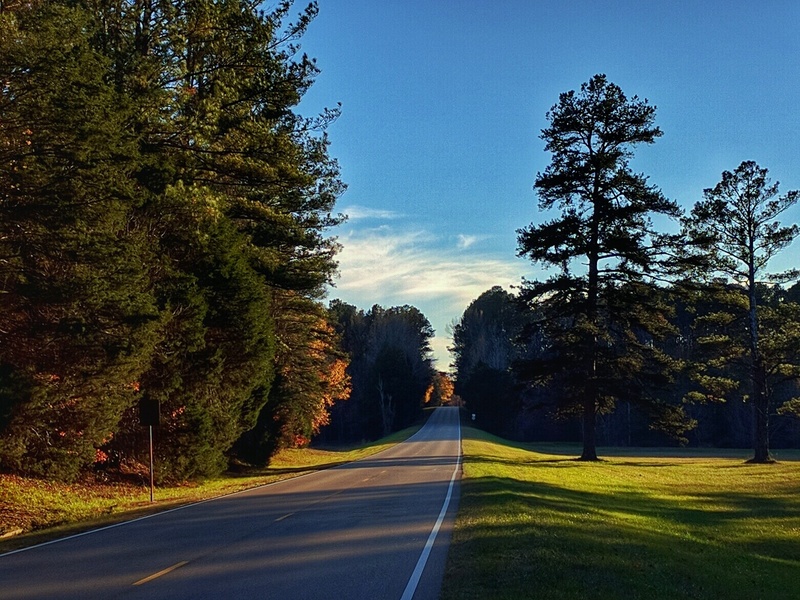 Getting out on the Natchez Trace parkway provided some relief to the volume of cars and the honking, but lacked the generally decent road etiquette I had become accustomed to thus far on the trip. I had started to get hangry at cars late in the afternoon that were passing too closely for my comfort. I can see them coming up behind me and not moving over an inch as the buzz by at or above the posted 50mph speed limit. A woman actually passed cars and cyclists and drove right towards me in my lane! I have that footage captured on my GoPro. Around 4pm a white Oldsmobile was coming up to me quickly and made no signs of giving way, something inside of me turned angry and I spit to my left as the car passed. The car seemed to slow down, but kept going. “If I can spit and hit your car you’re passing way too damn close to me,” was what I’d had prepared in my mind to yell at the driver. I caught myself. What the hell was I doing?? My behavior is totally inappropriate. These drivers are malicious, they’re just oblivious. I was tired, hungry, and really burnt out after another four hours of people driving cars past me close enough to blow the hat off my head. 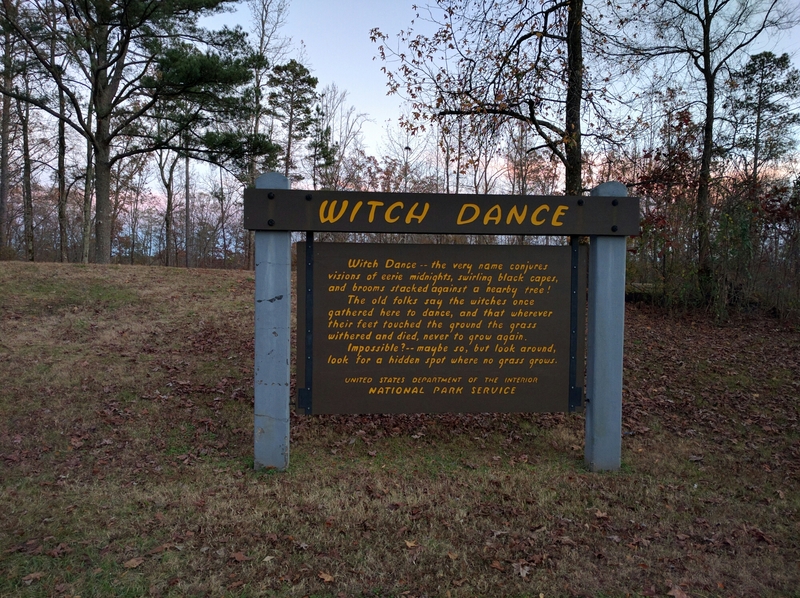 I was almost to my stop for the night, Witch Dance. 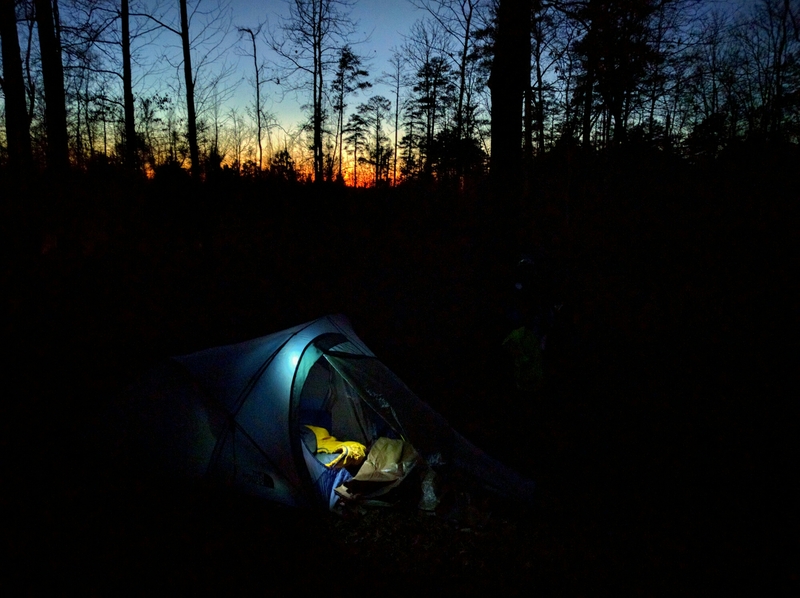 I made camp as the sun set at this bicycle camping only rest stop along the Natchez Trace national park road. 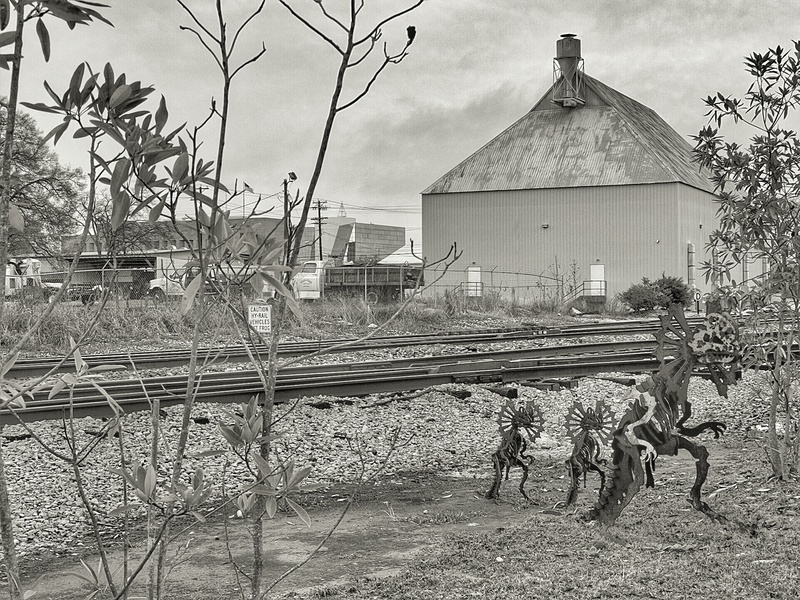 Along my way during the day, I would stop and pick upaluminium cans that’s I thought I could make into a working alcohol stove. 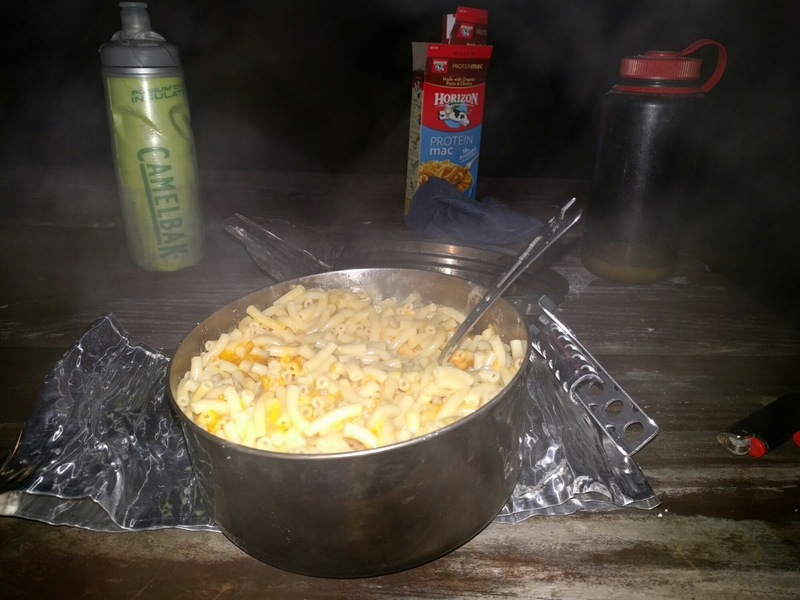 Cooking up two packets of Mac and cheese (because one looked like not enough…) And throwing in some cheese slices for extra cheesiness, I ate all but the last few bites and went to bed. 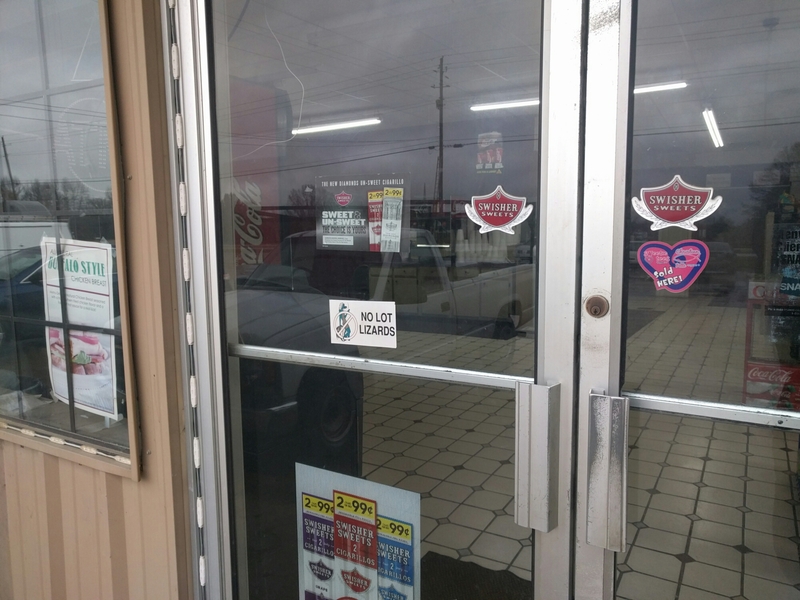 I headed out, late, as usual, from Seller, Tennessee and started off on US Highway 45. The shoulder was nice and wide like most US highways. 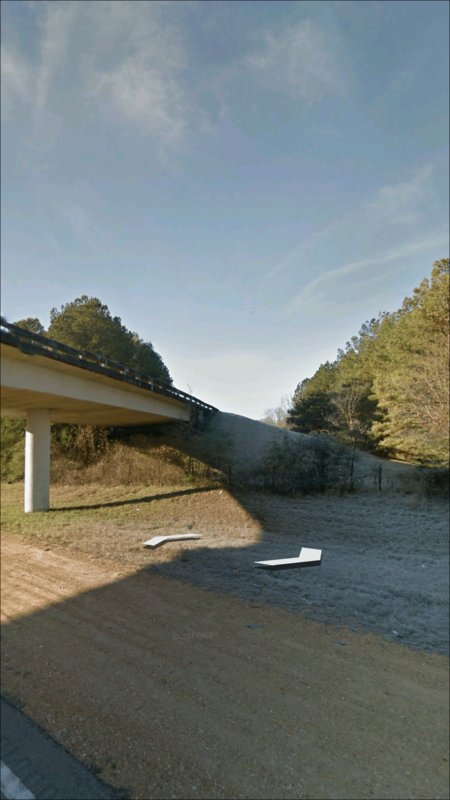 Once I’d hit the Welcome to Mississippi sign, the shoulder became packed stone set about two inches lower than the main roadway. South of Corenth, Mississippi the packed shoulder tapered off and I was left with anywhere from between six and eighteen inches of space to the right of the white lane line. This was also a space I was forced to share with persistent rumble strips. Since it’d been another day of all rain I was damp after only a couple hours into the ride. My strategy today was switching out of my boots and into my sandals. That way at least I’d have dry, warm footwear at the end of the day. After three and a half hours, my pruney feet and soggy socks were number to the first metatarsals. I pulled off the road and was preparing to dig through my bag to change into new dry socks when I looked up and saw a man coming towards me. 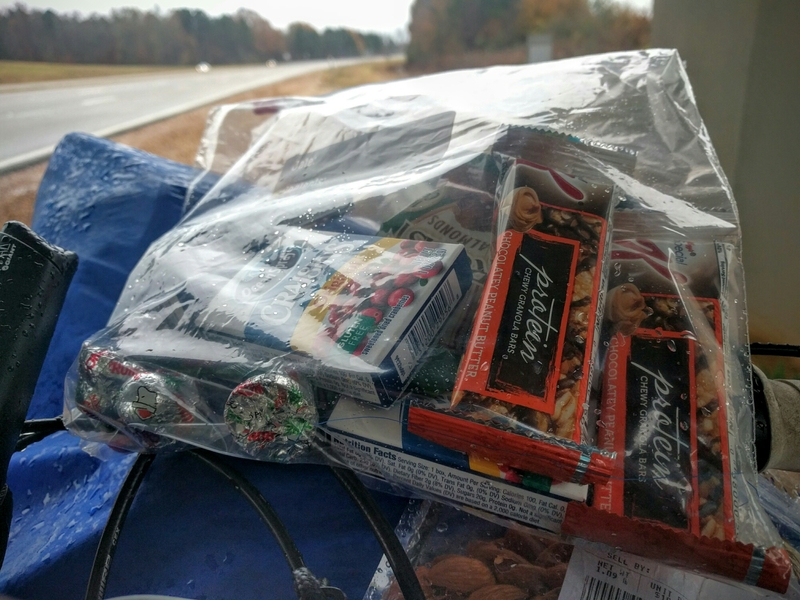 I stepped back and he held out a bag of snacks and water. He introduced himself as Michael, a fellow Cyclist, from the Booneville area. He offered me the food and water and I thanked him. He also offered a ride and advice about local routes. We chatted for about twenty minutes about the local cycling, Michael’s employment at the Caterpillar plant as an engineer, and just general South North things. He was incredibly helpful and generous. Thank you again, Michael! I’ve got a few minutes of shoulder of death footage on the GoPro to share at a later date when I get WiFi. 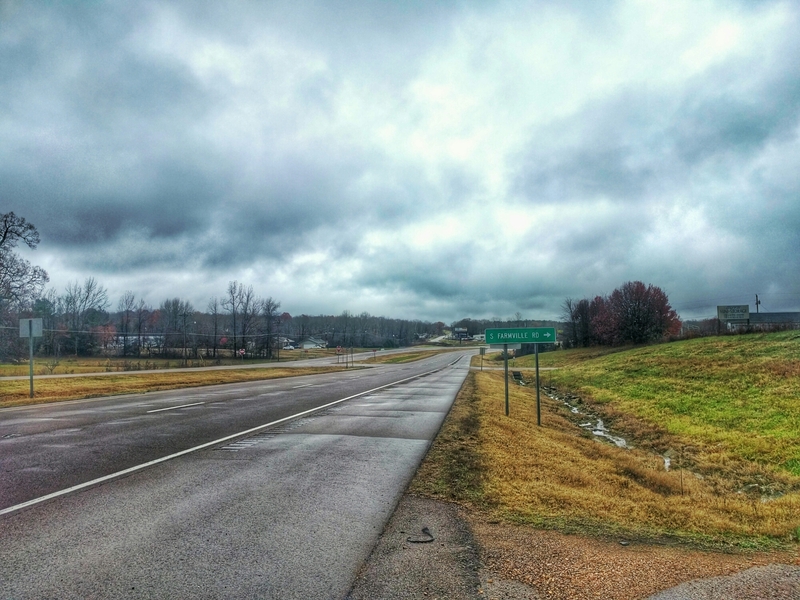 The most dangerous part occurred between Saltillo and Tupelo because not only did I have about eight inches to work with, but the traffic increased at least three fold. Imagine riding that “shoulder” for over four hours today. I don’t have to imagine it because I did it. Insanity. Based on my anecdotal evidence from today, I believe the majority of Northeastern Mississippi drivers also have no regard for cyclists. Routinely the left lane was completely open and still cars would pass me in the right lane at over seventy miles an hour… All day. I got used to the cars, but the semis were always a surprise. After it had gotten dark, the shoulder hadn’t improved, and the traffic had become constant, I finally gave in to the weariness of trying to focus on staying between the divots in the asphalt and the edge of the paved surface. I pulled off the road and checked my map. 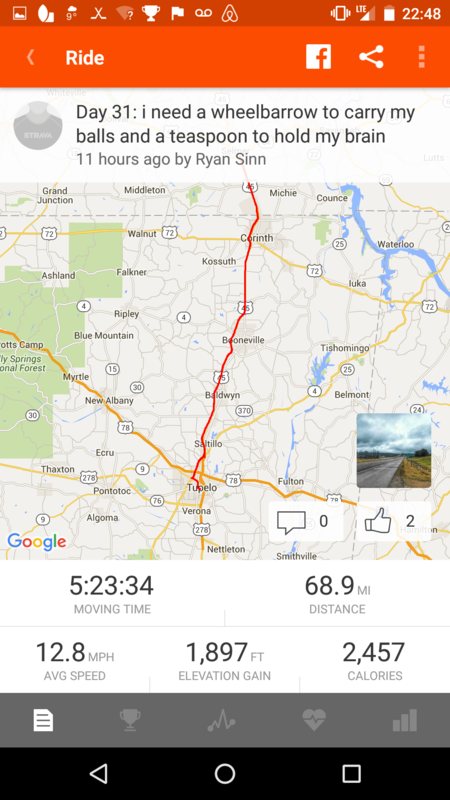 I saw that I’d just passed the Natchez parkway which was supposed to be the highway to heaven for cyclists. So I proceeded to look for a way to reach the overpass to the Natchez. The ditches were soft and flooded with water due to the three inches of rain the area had received in the last twenty four hours. 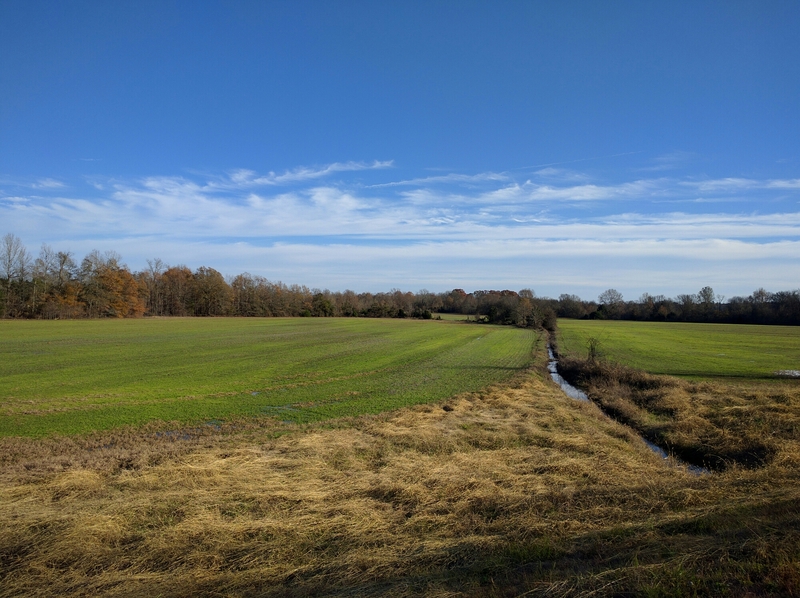 I discovered a break in the fence that separates the road right of way and an empty field near the Natchez, so I pushed my bike through the brush and into the field. I immediately found the field was even more saturated with rain than the ditch, so I abandoned the bike and scouted the tree line on the far side of the field on foot. Unfortunately the trees were shrouding a swollen creek, so I abandoned that plan and returned to the bike. Standing the bike up, I discovered that, in the fading daylight, I’d inadvertantly left the bike leaning against a giant mound of dirt that houses thousands of ants. 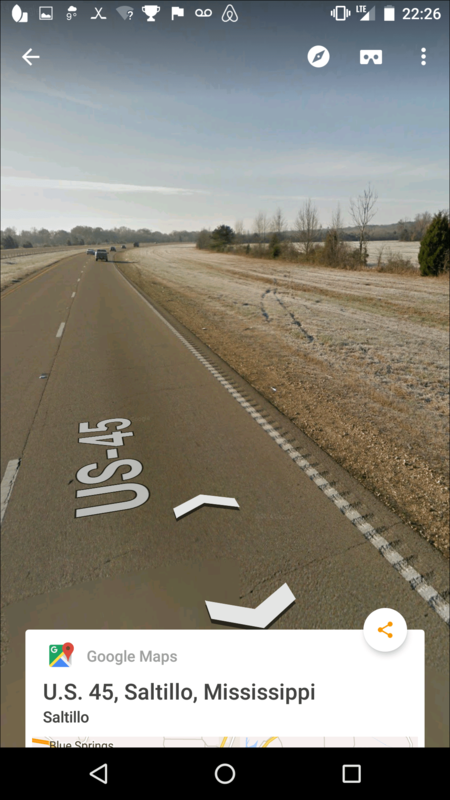 I ignored them and pushed the bike back through the muddy water towards the highway and the Natchez parkway overpass. When I reached the overpass, I could see a freshly mowed hill through the trees. Unfortunately, I could also see a four foot with multiple runs of barb wire along the top. I removed my panniers from the bike, tossed them over the fence and then lifted the seventy pound bike halfway over the fence and then tried to push the rear over, but I snagged a pedal in the overgrown vines that enveloped the rusted barbwire. I stepped on the fence and climbed over and then gave my bike a tug and broke it free from its entanglement. After pushing the reloaded bike up the embankment, I hopped onto the bike and road to the house of my warmshowers host, Rufus. I met his dog, Lucky, took a shower, and we went out to eat and grocery shopping. 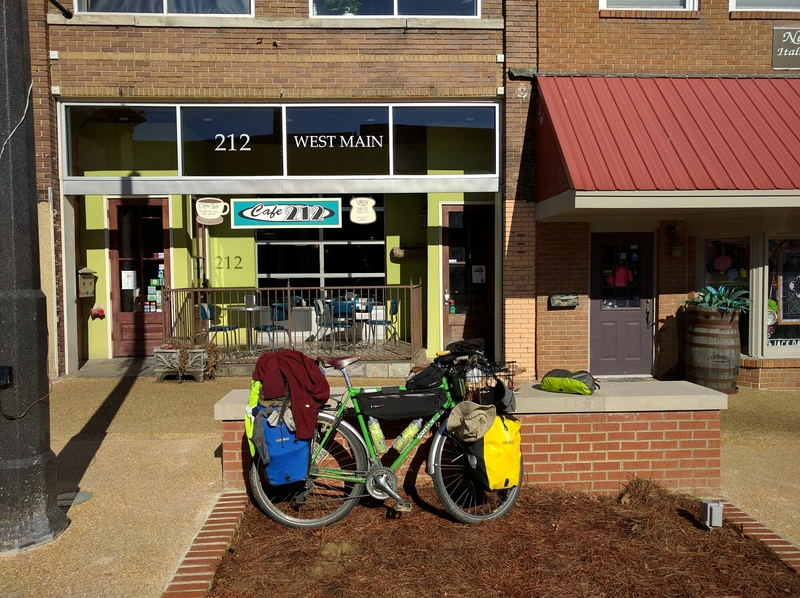 We chatted about life in the South, Tupelo, and each of our life experiences while Rufus made cookies and I repacked the bike. 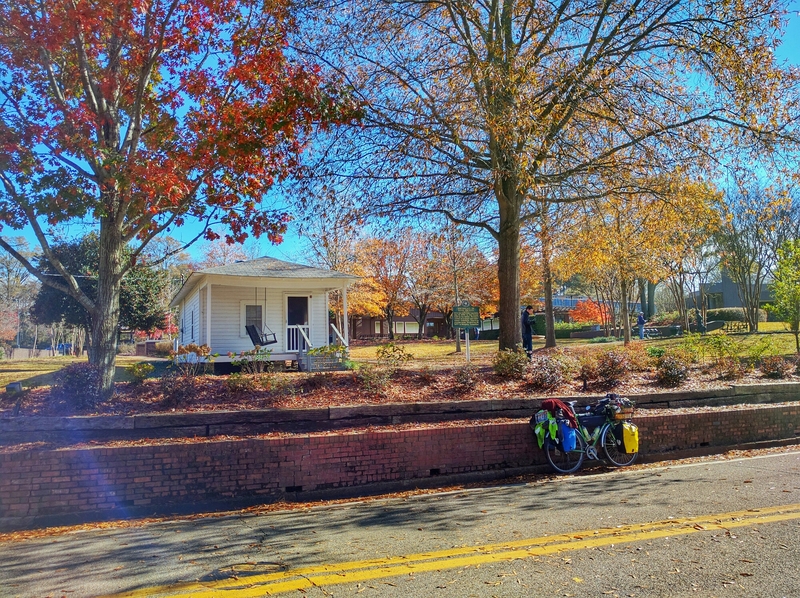 … About visiting Elvis’s birthplace. The tour is complete! Time to head back to Minnesota. I like Tupelo, Mississippi. The place seems to have a vibrant and diverse economy and population. Blue skies are coming out, the weather is getting colder. I’ve officially acquired some mix of salt, stank, and wet dog smell about me and my gear from the perpetual unwashed damp that has perpetuated the last week. Drying things out, while alievating the damp chill soggy clothing brings, just seems to bake in the smell. 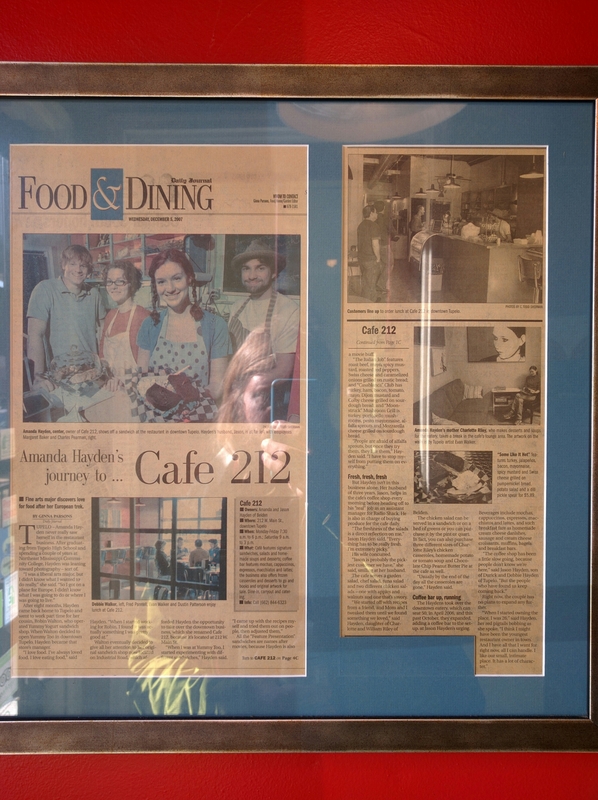 I’m going to ride down the Natchez Trace Parkway today towards French Camp, but first, I’ve stopped for a coffee and some WiFi at Cafe 212 on Main Street, Tupelo…. next, a visit to the birthplace of Elvis! 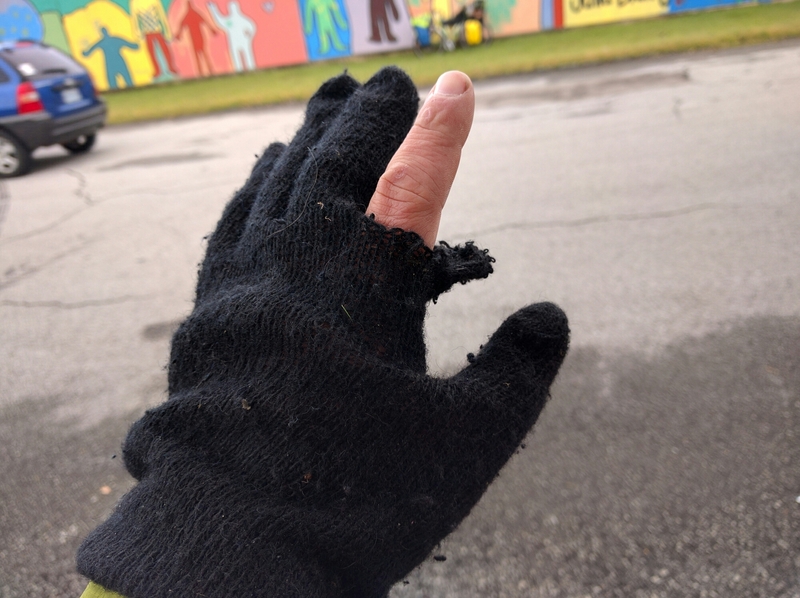 .. And then maybe a brief side quest to find new gloves after last night’s fence hopping incident. 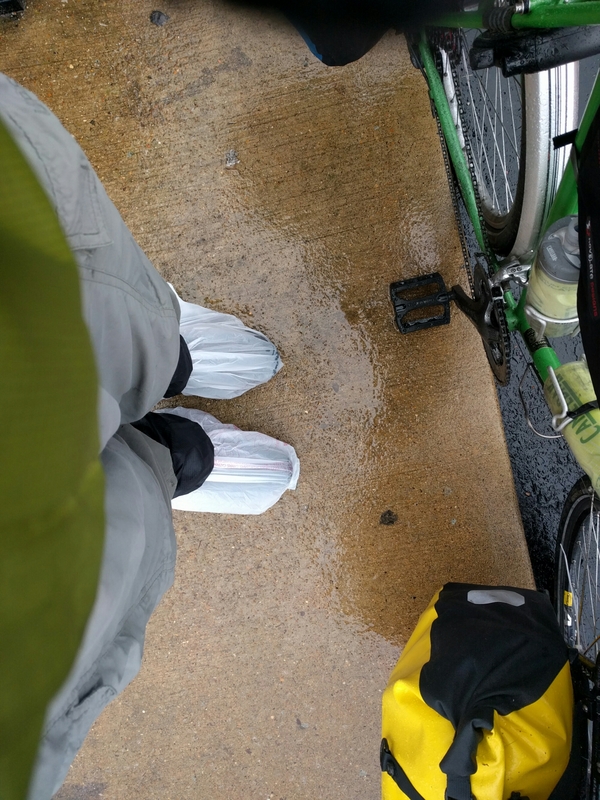 My new experiement for today is wearing plastic bags over my feet to attempt to keep some of the rain out. 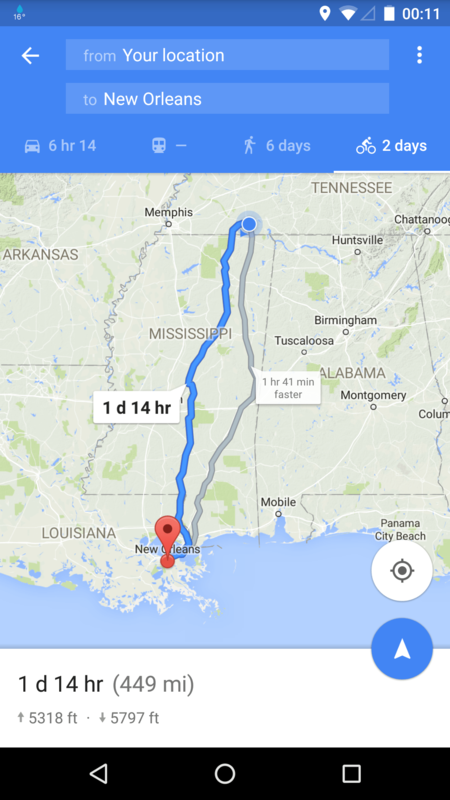 Tomorrow I’ll be heading to Tupelo, Mississippi to stay with Rufus, a warmshowers.org host. 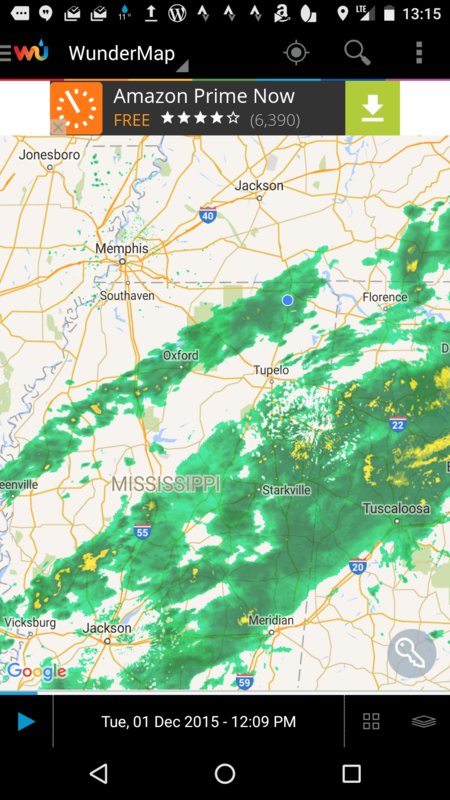 … No shoulders, drivers’ speeding like they’re late for the Sunday sermon, and… Wait for it… More rain! I cleared Illinois, Kentucky, and by tomorrow I’ll clear Tennessee… into Mississippi! The Where Am I map is back up and working now! Today I woke up late after resting all of Day 28, the day before. 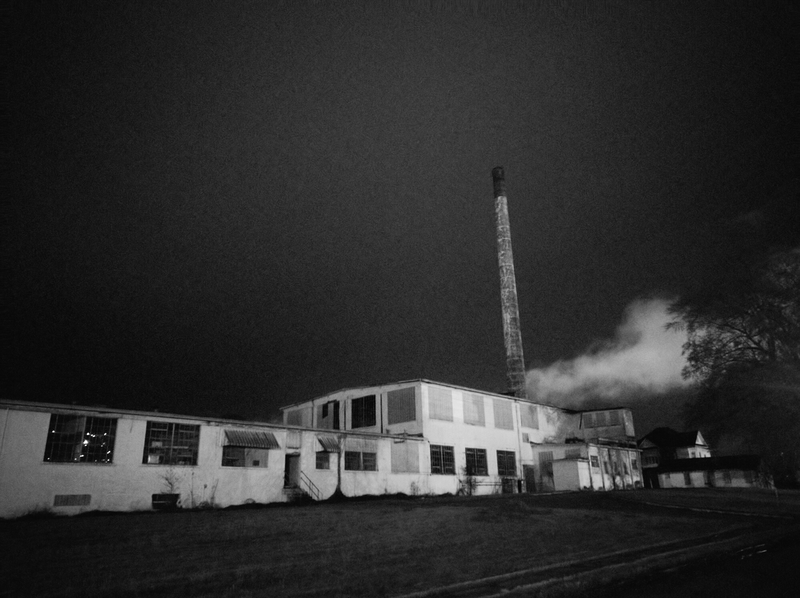 I said goodbye to Matt at the front desk of the Len Haven Motel and headed out. I stopped just outside of town to put on gloves, hat, and jacket. Since I was already stopped, I figured it was a good a time as any to eat, so I devoured leftover pulled pork and a banana. A Martin police officer stopped to see if I needed anything while I was putting on the clothing and we chatted for a few minutes. The rain started about then and after biking for over an hour, I stopped in Greenfield to have lunch. 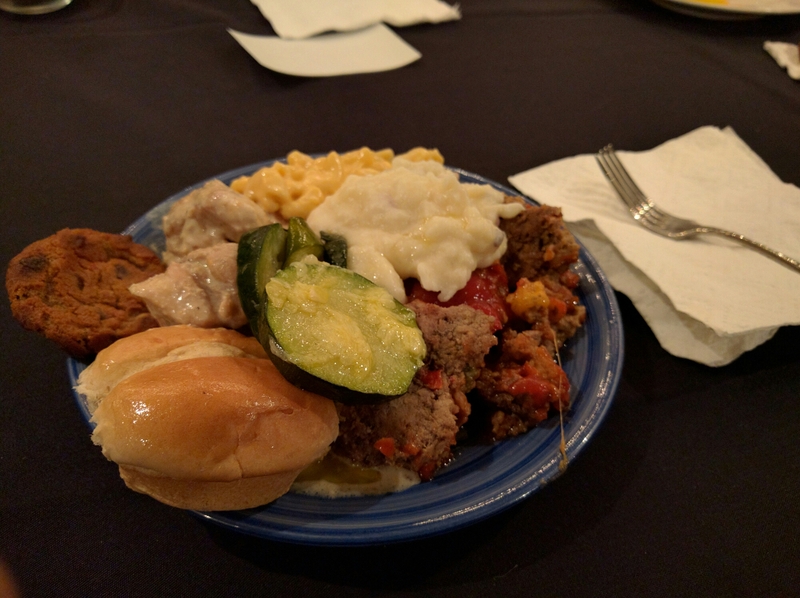 I opted for the buffet and was waited on by a sweet young lady named, JJ. Shortly there after another woman stopped by and we chatted about what I was doing. She introduced herself as Renee and explained that had gypsy blood and traveled all over the world during her life. Renee brought JJ over to the table and introduced her as her daughter. 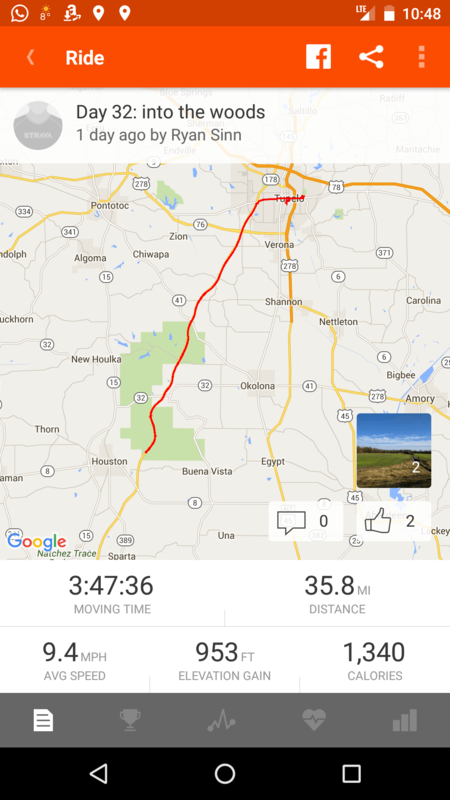 I rolled out of Greenfield and down the country roads on my way to Jackson. I reached Jackson just after dark and booked myself a room to dry out my boots and clothing. 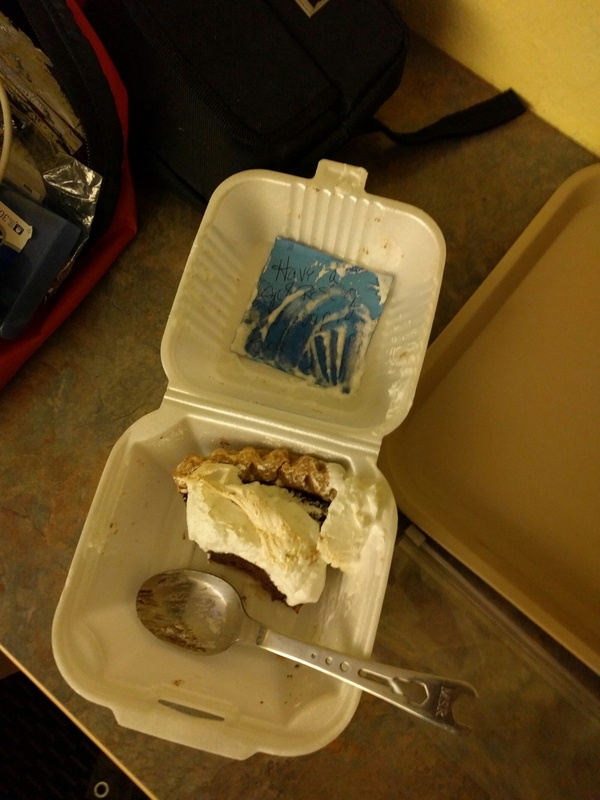 When I got to my room I opened up the dessert that Renee had boxed for me and found a delicious piece of pie and a very gracious note.